Home2 WheelersTouring or off-roading, own the best of both worlds: The all-new BMW F 750 GS and the all-new BMW F 850 GS launched in India. Touring or off-roading, own the best of both worlds: The all-new BMW F 750 GS and the all-new BMW F 850 GS launched in India. Balanced all-rounder enduros with strong BMW Motorrad character. Discover the remote corners of the world with the #Spirit of GS. Delhi NCR. 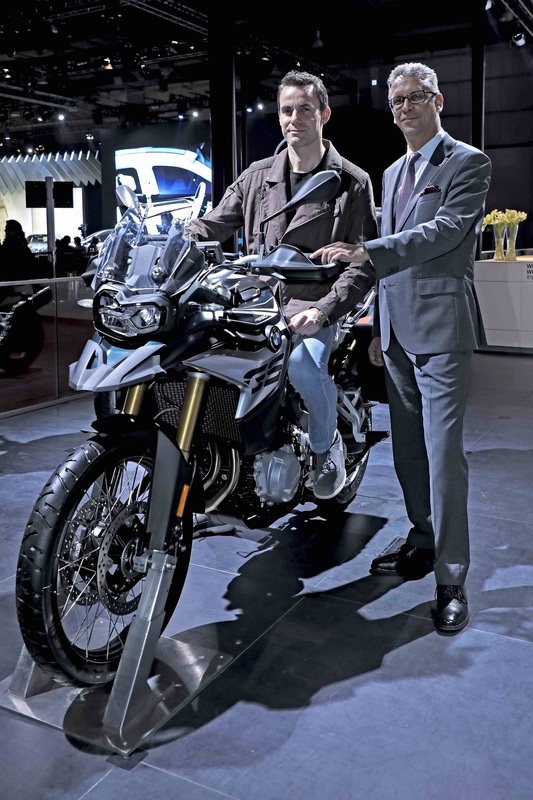 BMW Motorrad India has launched the all-new BMW F 750 GS and the all-new BMW F 850 GS today in India at the Auto Expo 2018. The all-new BMW F 750 GS and the all-new BMW F 850 GS will be available as Completely Built-up Units (CBU) and can be booked at BMW Motorrad dealerships from today onwards. Deliveries will begin from May 2018 onwards. The all-new BMW F 750 GS is designed for riders who prefer the sensation and conceptual design of a travel enduro in combination with a low seat height, copious power availability, and powerful all-round qualities. The all-new BMW F 850 GS offers more power and torque, featuring even more distinctive touring characteristics coupled with supreme off-road ability. The all-new BMW F 750 GS is available in Light White paintwork with black/red seat and Austin Yellow paintwork with black/grey seat. In addition the Exclusive style features the Stereo metallic matt color with hand protectors, wheel rims Granite Grey metallic, handlebar silver, electroplated radiator cover with large GS tape and black/grey seat. The all-new BMW F 850 GS is available in Racing Red paintwork with black/grey seat and Rallye style that features Light White paintwork (with tapes Racing Red / Lupin Blue metallic), hand protectors, wheel rims anodised gold electroplated radiator cover with large GS tape seat and black/red seats. It is also available in Exclusive style that features Pollux metallic matt paintwork with hand protectors, fixed fork tubes anodised gold, Electroplated radiator cover with large GS tape and black/grey seats. The all-new BMW F 750 GS and the all-new BMW F 850 GS. The all-new BMW F 750 GS and the all-new BMW F 850 GS feature a completely new look, which benefits from a more dynamic and masculine design. The design with its iconic features such as the asymmetric headlight and the GS-typical flyline make it immediately clear that they belong to the BMW Motorrad GS family. The characteristic flyline emanates from the front GS ‘beak’ (upper wheel cover) over and past the fuel tank and seat bench to the functionally designed and now considerably slimmer rear. The optional LED headlights give an even sharper gaze to the agile appearance. The newly developed bridge frame is made of deep-drawn, welded components and integrates the engine as a co-supporting element to offer benefits in terms of torsional rigidity and robustness. As is typical for enduros, the all-new BMW F 750 GS and the all-new BMW F 850 GS feature generous spring travel distances and large ground clearance. Original BMW Motorrad Main Stand is offered as standard on both motorcycles. Both models feature the powerful 2-cylinder in-line engine with a displacement of 853 cc. The all-new BMW F 750 GS produces a power output of 57 kW (77 hp) at 7500 rpm for dynamic performance. The all-new BMW F 850 GS generates 70 kW (95 hp) at 8250 rpm to deliver supreme level of engine power. An extremely powerful and emotional sound is produced by a crankshaft journal offset of 90 degrees and firing interval of 270/450 degrees. The newly engineered 6-speed gearbox transfers the torque with an optimised transmission ratio. Power transmission via the self-amplifying anti-hopping clutch allows reduced operating force and also leads to lesser engine drag torque, increasing riding safety – particularly in the case of braking manoeuvres performed while changing down in gear. The standard Cruise Control offered on both motorcycles enables pronounced comfort for long rides. For faster gear shifting without the clutch, BMW Motorrad now offers the optional Gear shift assistant Pro that permits perfect acceleration with virtually no interruption. The all-new BMW F 750 GS and the all-new BMW F 850 GS come with two riding modes ‘Rain’ and ‘Road’, to adapt to varied road conditions. Riders can choose optional riding modes – ‘Dynamic’, ‘Enduro’ and ‘Enduro Pro’ along with DTC dynamic traction control and the banking capable ABS Pro. Both motorcycles are equipped with a completely new instrument cluster design, consisting an analogue speedometer and multifunctional display. Fast and clear information is available with the optional equipment known as Connectivity, with a 6.5 inch full-colour TFT display. Integrating operation via the BMW Motorrad multi-controller, it gives the rider quick access to vehicle and connectivity functions. Phone and media functions can be used without having to install an app. The rider can easily make telephone calls and enjoy listening to music with Bluetooth connection. In addition, the BMW Motorrad Connected app offers everyday-suitable and practice-oriented arrow navigation directly via the TFT display. *Price prevailing at the time of invoicing will be applicable. Delivery will be made on ex-showroom. Ex-showroom price (inclusive of GST (incl compensation cess) as applicable but excludes Road Tax, RTO statutory taxes/fees, other local tax/cess levies and insurance. Prices and options are subject to change without prior notice. 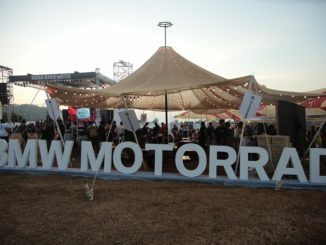 For further information, please contact your local Authorized BMW Motorrad Dealer. 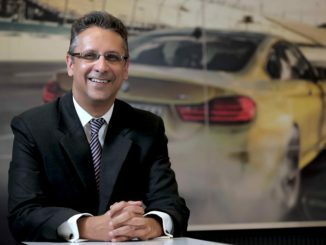 BMW India is fastest to GST. Showstopper of the fest: BMW Motorrad revs up the throttle at India Bike Week 2017.